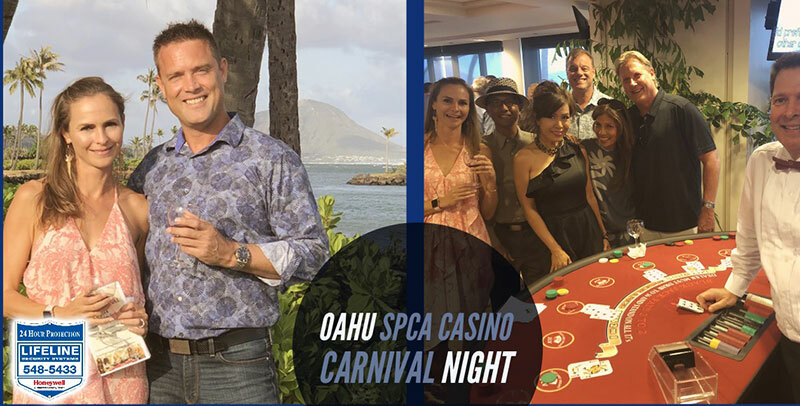 It was our great pleasure to attend the annual Oahu SPCA Fundraising Gala dinner at the beautiful Wailea Country club. The Casino Royale theme made for a fun night of card games along with a delicious dinner and wine pairings. If you are looking for a pet, please consider adopting. Rescues make the best and most loyal companions! If you already have a furry companion that you would like to keep an eye on during the day while you are at work, ask us about our wifi cameras with two-way-voice – ideal for checking in on your pets! Lifeline Fire & Security is an Authorized Honeywell Dealer and provides security integration solutions on Oahu as well as outer islands. The company is an active participant in many community outreach activities to help better the lives of our residents.